Tada! We finally were able to get our new shiny site up and running! Don’t worry, we did move all of our posts there too! From now on please check out WWW.BUBBLEPUNCH.COM to keep up to date to all of our events, as well as our services, sightings, and fun filled adventures! GREAT SCOTT! 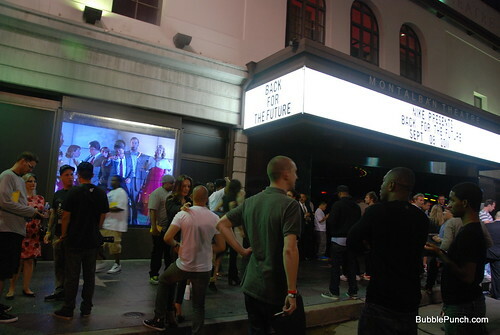 The Nike MAG Release Party! 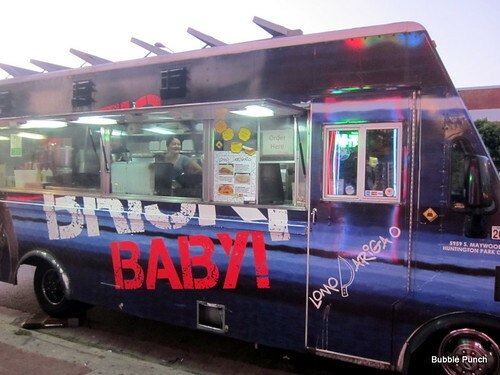 SEPT 8, 2011 — Last night, the world waited in bated breath for… the FUTURE. 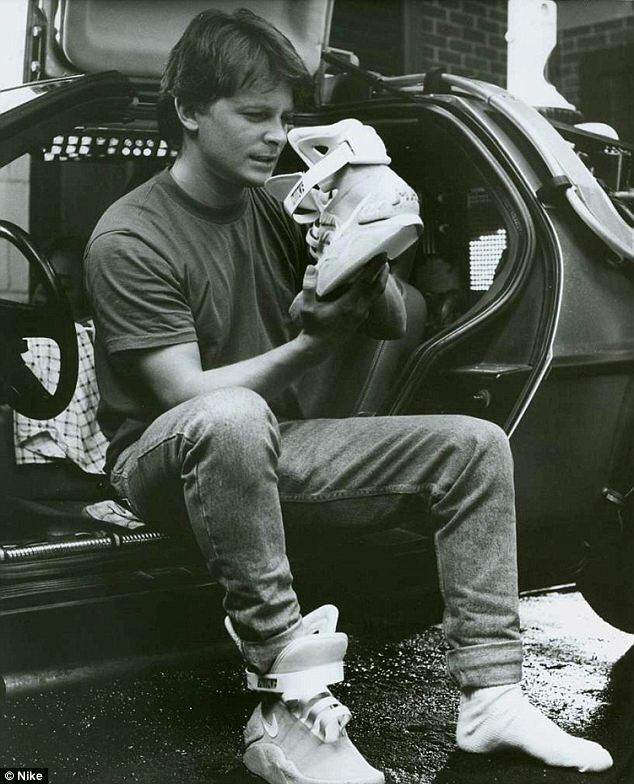 Marty McFly contemplates the original MAG shoes, in Back to the Future II. In the totally awesome movie trilogy Back to the Future, Michael J. Fox’s character Marty McFly travels to the year 2015, and wears the Nike MAG shoe, which was often called “The Greatest Shoe Never Made.” Well no longer! NIKE says about the MAG shoes: It came alive, lit up and formed to Marty’s foot. The 2011 NIKE MAG shoe was designed to be a precise replica of the original from Back to the Future II. The aesthetic is an exact match, down to the contours of the upper, the glowing LED panel and the electroluminescent NIKE in the strap. The 2011 NIKE MAG illuminates with the pinch of the “ear” of the high top, glowing for five hours per charge. With a worthy cause, an amazingly kickass shoe, and the supporting background of over 25 years of Back to the Future fandom, you can bet that Bubble Punch was on the scene to report on the opening party so that EVERYONE could experience this incredible event. The slogan of the event was “IT’S ABOUT TIME,” referring to the overlying theme that the effort of the Nike AG was focused supporting research to provide a future without Parkinson’s disease. 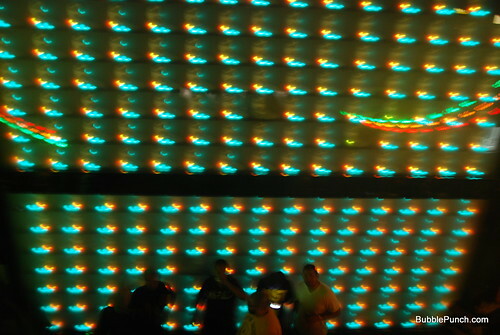 Front of the theater, with Back to the Future playing on the screens. 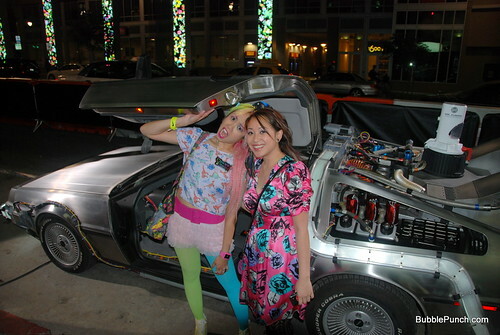 Of COURSE the time traveling DeLorean was there! Bubble Punch's Chubby Bunny was able to attend the event, thanks to our buddy Jessica (right) who is an awesome friend. WAY TOO MANY photos after the jump, including presentations by Joel McHale, Christopher Lloyd, Tinker Hatfield, and more! 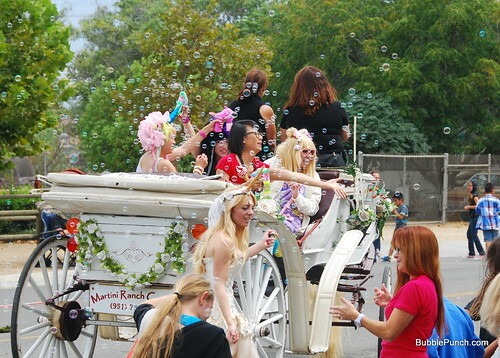 On September 6, Bubble Punch was invited to the Norco Labor Day parade to help add some magic toOnch Movement’s unicorn-themed carriage that was entered! Mostly just for fun, we were happy to assist in throwing some magic sparkles and, duh, bubbles, to the mix to create a super fun entry for the parade that had kids chasing after us for candy and sparkles! BEHOLD THE MAGIC OF CANDY, BUBBLES, AND CUTE COLORS! More photos and event report after the jump! KABLAM! 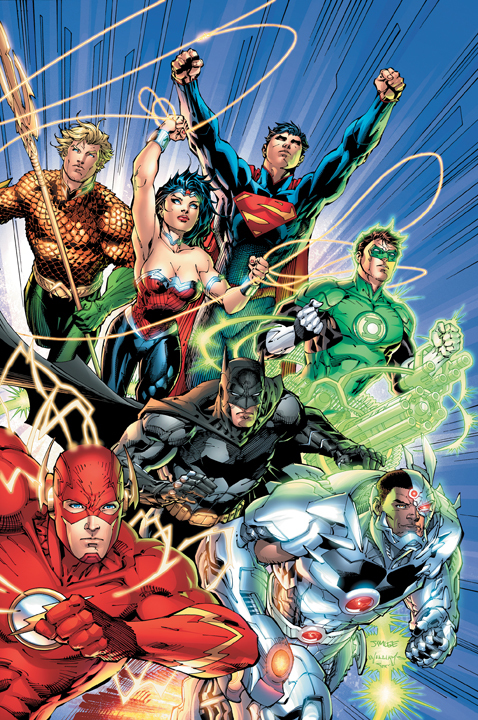 The DC Reboot Arrives! AUGUST 30, 2011 — Meltdown Comics hosted an amazingly geek-worthy night in honor of the relaunching of all of the DC Universe titles with a party including talks by DC comics writers, a costume contest, prizes for fans, and the midnight release of Flashpoint #5 (the last in the alternate-reality DC universe Flashpoint series) and Justice League #1, the first of the 52 rebooted DC comics that will be debuting this month. Superman and Lois aren’t married anymore! Gasp! Younger characters revamped and some new ones added, and hey! Tim Drake’s Red Robin costume is pretty sweet looking! Go Teen Titans! Detective Comics, for which the company is named goes back to #1 again, too! Barbara Gordon, is back as Batgirl, and no longer bound to a wheelchair acting in the superhero world as The Oracle. Wonder Woman’s costume had pants for a split second before DC got all confused with themselves and got it changed back to No-pants Land. But alas, Superman doesn’t have outside-red-briefs anymore! Pants-land for Supes! Oh and he’s wearing some sort of turtle-necked leotard, too. Okay! Now let’s get to the event recap! This awesome Wonder Woman cosplayer says, "Come Hither!" Photos and event recap after the jump! When our friend Stephanie Inagaki, designer of Miyu Decay, asked if we would be interested in helping spread the word about the James Philip Ribiat-Finley Arts Endowment (her late fiance), we were of course more than willing. Helping to support young, local teens who would like to pursue a career in the arts. More information will be forthcoming on the application process and details. Thank you for your patience! How could we resist? As independent artists and designers ourselves, we are all for helping support the younger local art and creative generation. Check out the Facebook Event Page for up to date information! This isn’t just any old art show, no way! There will be performances, raffles, free airbrushing, as well as art for sale! *$10 door fee includes 1 entry into the amazing raffle which is full of incredible artists! *over 20 artists have donated their amazing work! If you can’t make it, please still consider donating directly to the James Philip Ribiat-Finley Arts Endowment. You can also help by retweeting, reblogging, and sharing this event! Hope to see you all come out and support this wonderful event. Last Saturday, Munky King was the place to be. 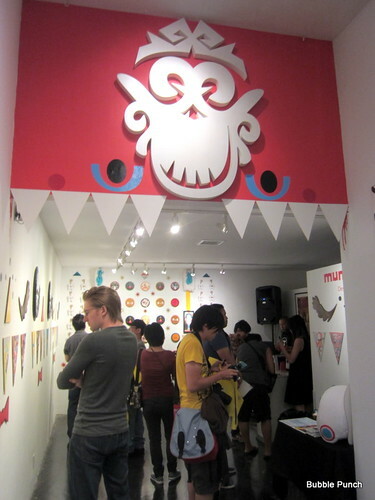 Their opening reception for Crowded Teeth’s ‘Super Sweet Group Show’ was poppin’. 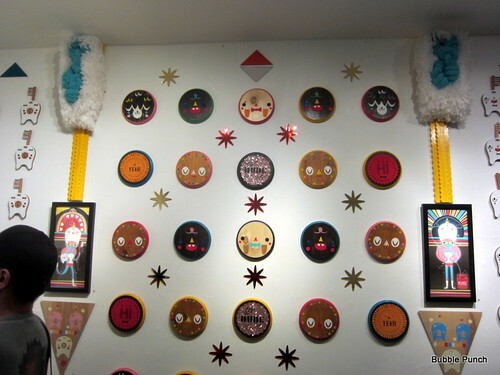 Sweet Streets, in collaboration with Crowded Teeth curated an amazing group show with artists such as: Luke Chueh, Eimi, Miso, Martin Hsu, NICO, Mizna Wada, Angry Woebots, among many talented artists. All of the art was inspired by the works of Crowded Teeth. Of course, we had a little hand in pushing the magic into the world wide web. The show was a collection of coloful, magical, and cute that only Crowded Teeth could inspire. 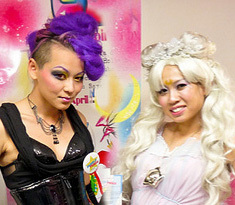 We don’t know what was the best part, the art, the magical Crowded Teeth Cupcakes, or the awesome food from Lomo Arigato! We do however, want to thank everyone who came out to support this amazing show, and a big thanks to Saporro, who sponsored the event. 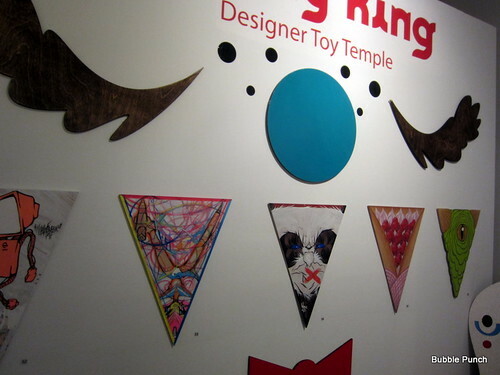 If you’re interested in seeing more of the art, the show is running at Munky King until September 7, 2011. So what are you waiting for? Get your booties down there. If you’re unable to make it, but want to purchase some of the gorgeous artwork, it is all available on the Munky King website. Thanks again everyone for supporting the show, and we hope to see you at the next event! 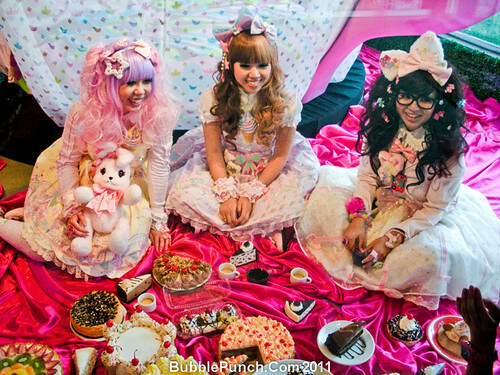 Where can you find Unicorns, Mermaids, cute Lolitas, and deliciously realistic food-themed jewlery? 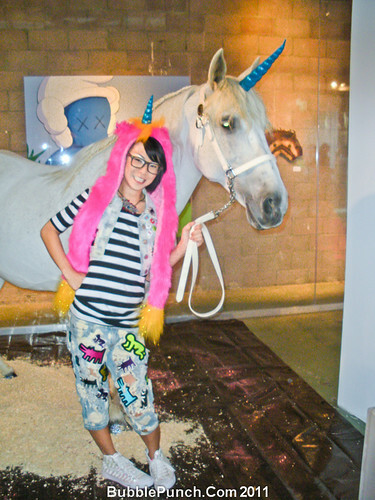 At Onch Movement’s Perfectasy opening party of course! Our friend Onch (OnchMovement.com) threw a fantastic opening reception for his month long pop-up shop at Royal/t cafe in Culver City, CA.